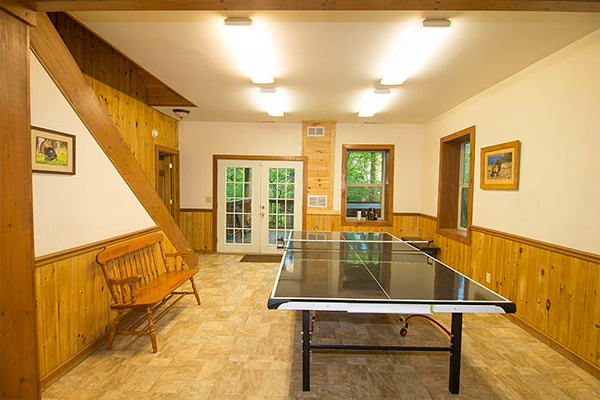 Chickadee Cabin in Hocking Hills. 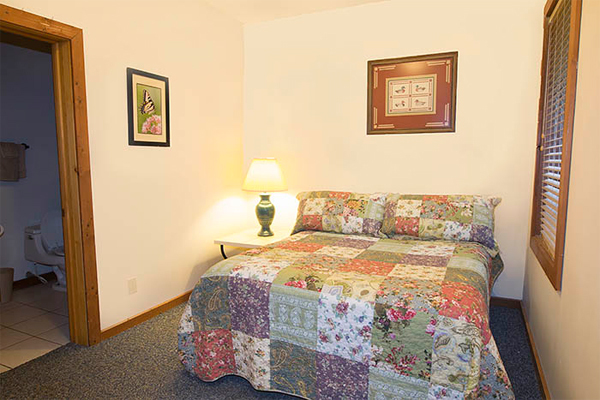 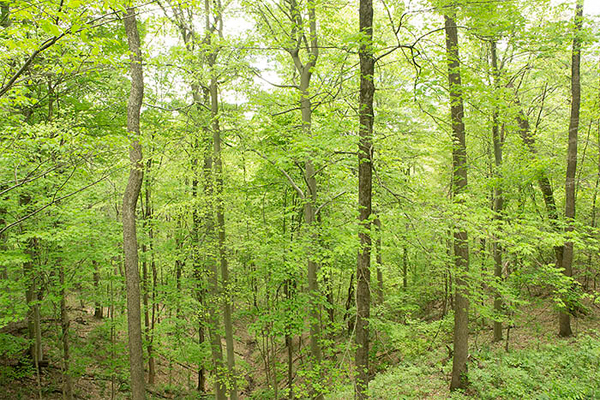 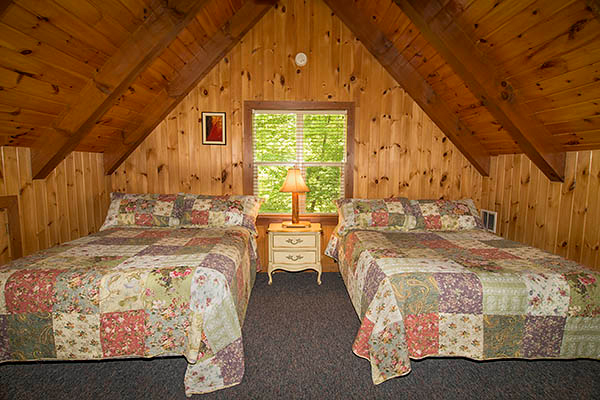 Chickadee Cabin is surrounded by the kind of Hocking Hills splendor visitors to the region have come to recognize. 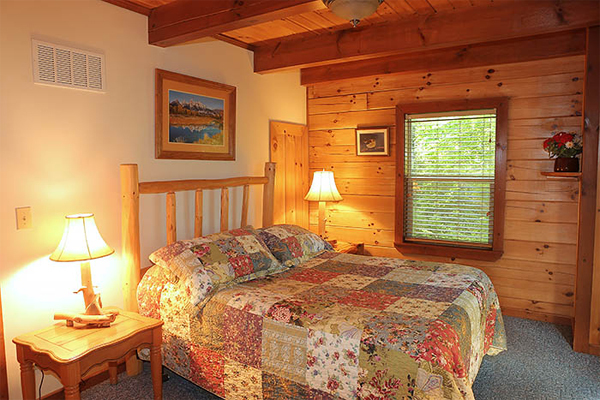 Wood thrush is a multi-level chalet style log cabin with an elevated screened porch overlooking the wooded hillside below. 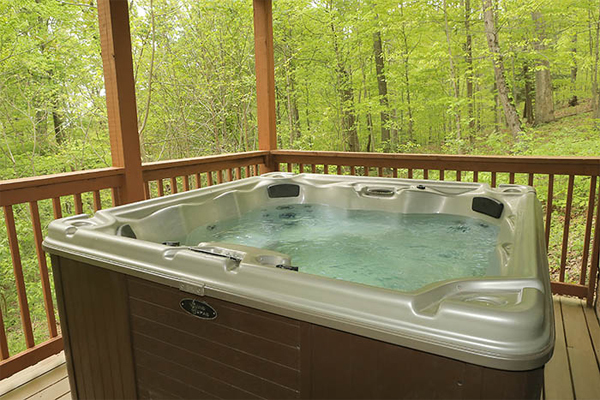 There is also another deck below with a hot tub for your relaxation and enjoyment. 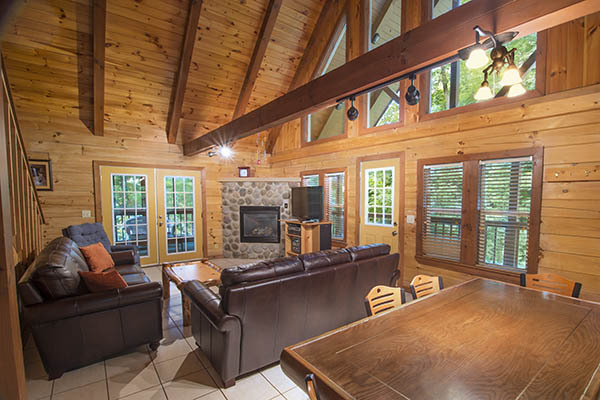 The Great Room is the ultimate in comfort with a stone fireplace and comfy couches to sit back and lounge upon. 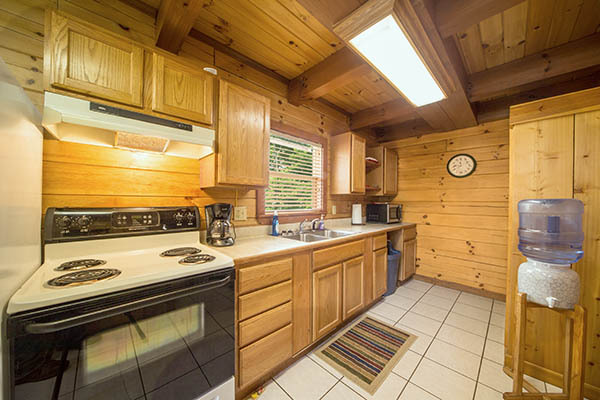 There are two bedrooms, two baths and a full kitchen. 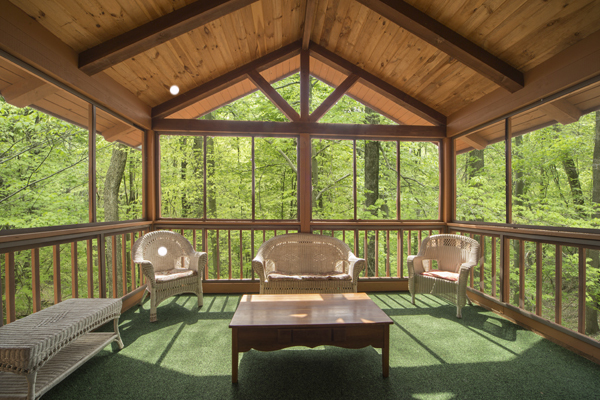 This Hocking Hills chalet also features DIRECTV, CD/DVD and a campfire ring outside. 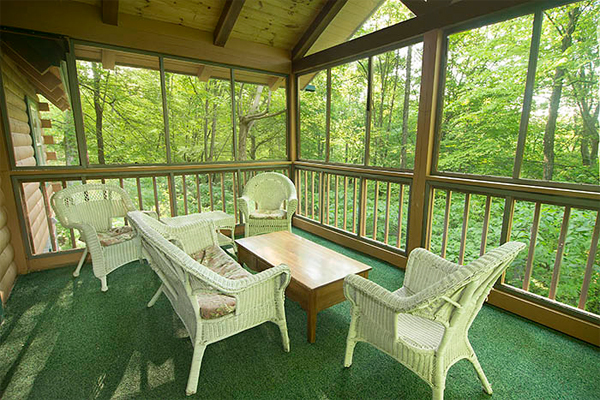 There is a screened porch overlooking the woods.